We’ve been out exploring the beautiful Rame peninsula this weekend and there are plenty of dog friendly days out, places to eat and places to eat here. 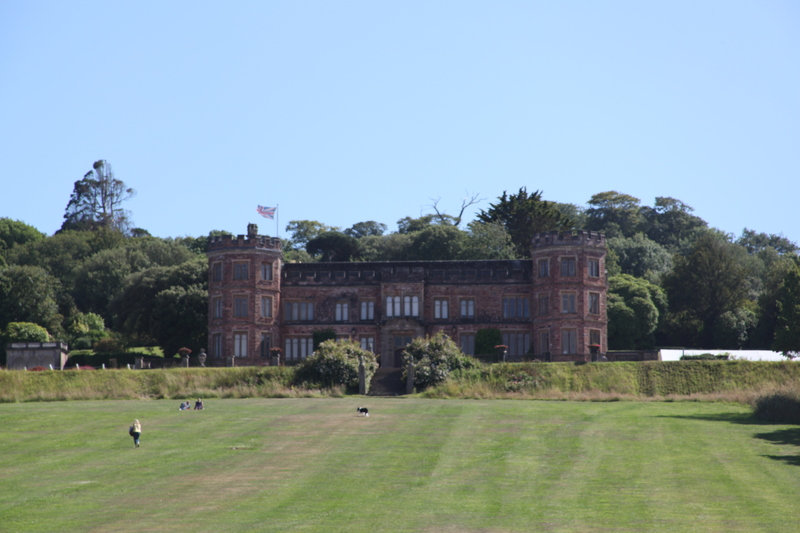 A lovely day out for you and your dog is Mount Edgcumbe. 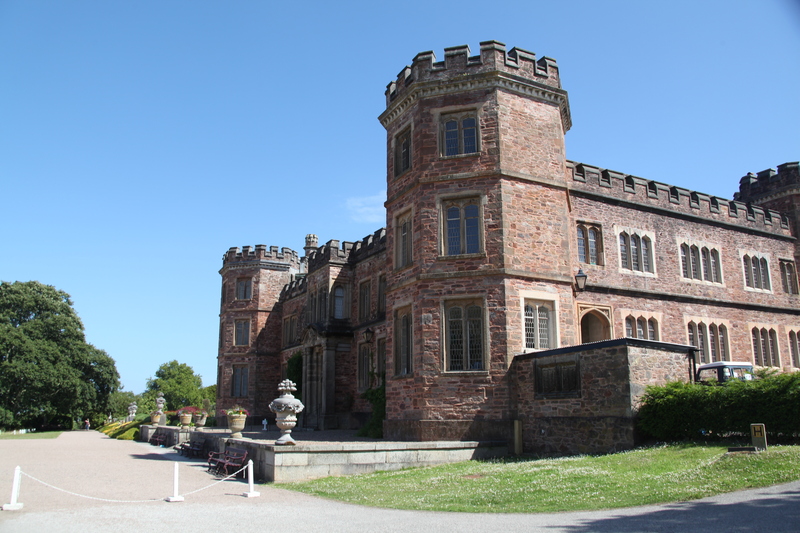 You reach Mount Edgcumbe from Cornwall by following signs from Trerulefoot to the Torpoint ferry, and then taking the A374 and B3247 (brown signs) to Millbrook and from there just three miles to Mount Edgcumbe. 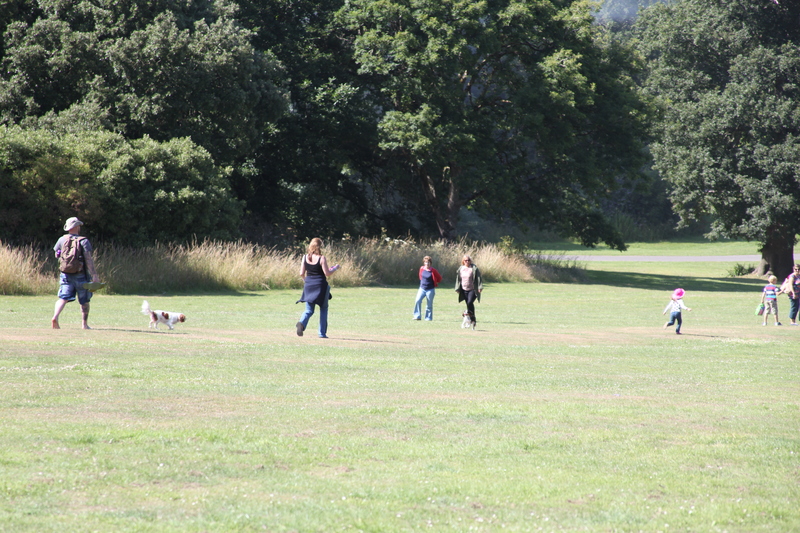 You wouldn’t know it from the official website, but Mount Edgcumbe is very dog friendly. 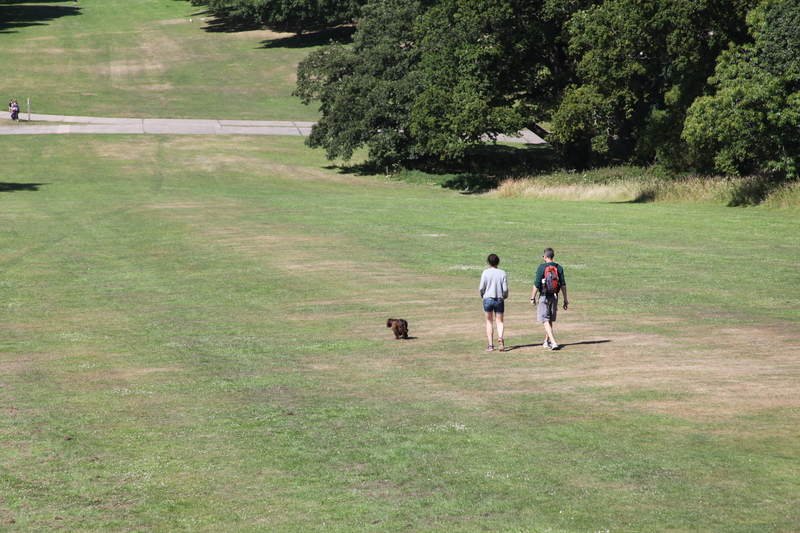 Dogs must be kept under control here, but they can still be off the lead as long as you are confident they’ll return! 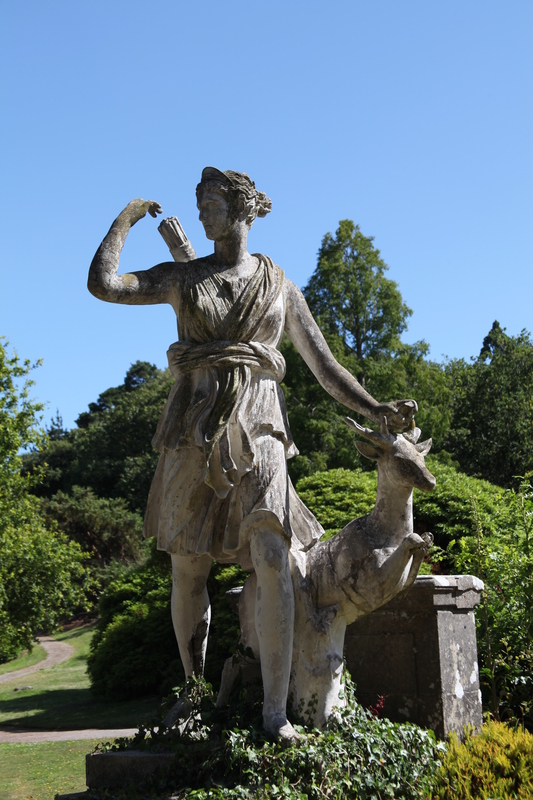 Dogs must be kept on a lead in the formal gardens and in the deer park to prevent them chasing the deer, but they can enjoy a good run in other parts of this walk, and many do. 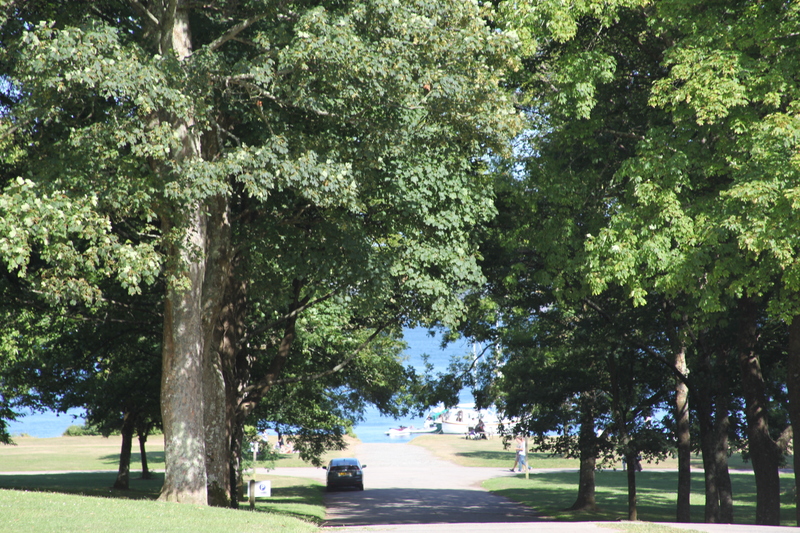 Start by parking at the Barrow Centre, heart of the park. 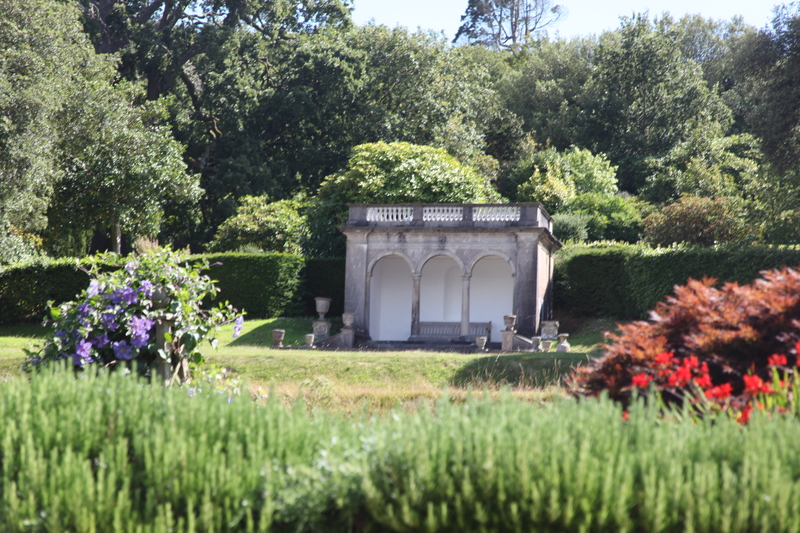 There is a charge which goes towards the upkeep of the estate. 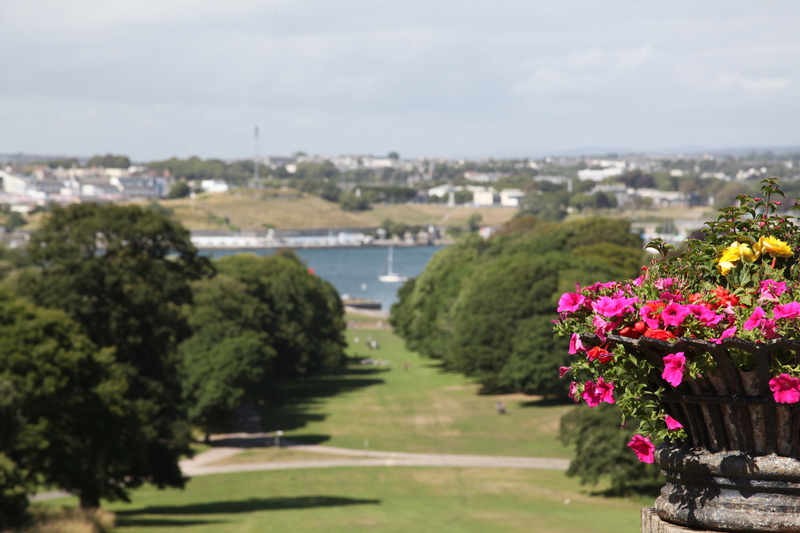 from here follow signs to Mount Edgcumbe House and soon you will see the big house with a terrace in front and the beautiful grassy slope of The Avenue leading down to the water, with stunning views over Devonport. 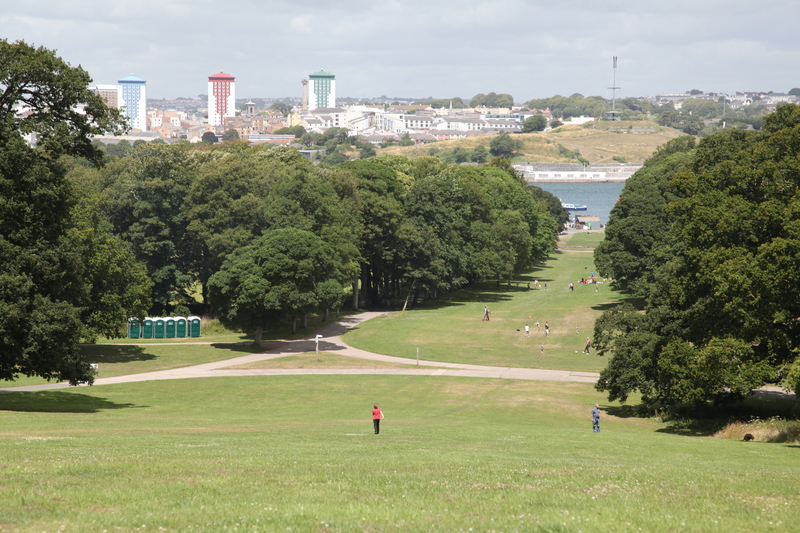 Walk (or run, or roll) down the avenue, and then at the bottom you will find the Cremyll foot ferry to Plymouth and the formal gardens. Head through these (dogs on leads in here please) past the Orangerie restaurant and then along the South West Coast Path. You will pass the Battery & Blockhouse and soon reach the Amphitheatre and Milton’s Temple. Continue along the coast path. Just beyond Lady Emma’s Cottage you will come to the Earl’s Drive and you can follow this back through the deer park (dogs on leads here) and the signposts direct you back to the Barrow Centre where you began. 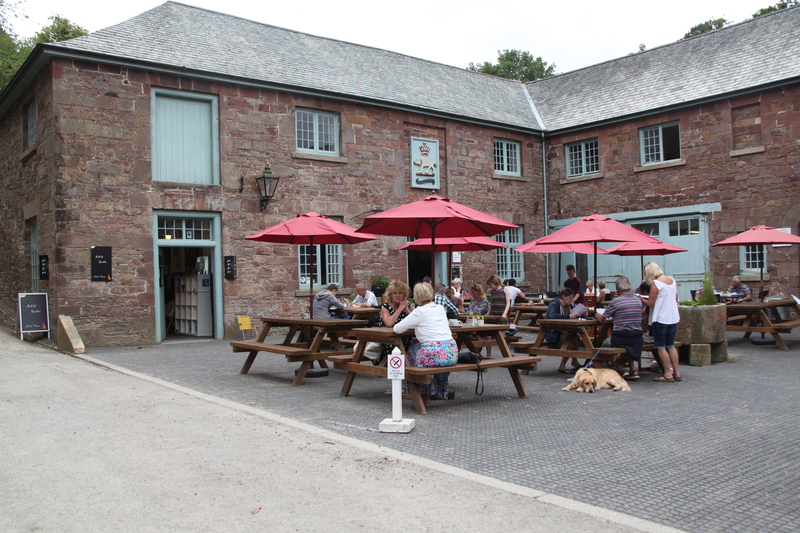 Here you will find The Stables cafe which is very dog friendly and has water bowls and shade. There are also several lovely shops and artists studios and other exhibits here. 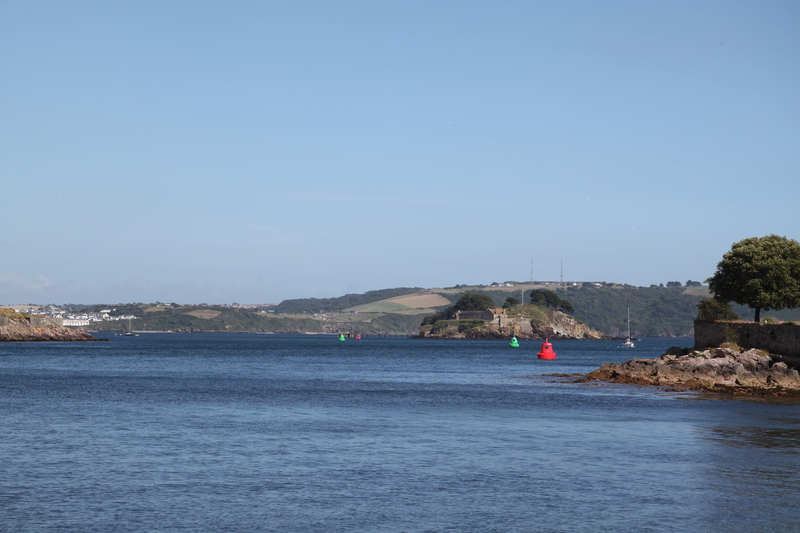 This walk is about two miles and a lazy hour’s stroll, but you can do longer walks via Maker church, or even walk the coastal path to Kingsand and Cawsand.